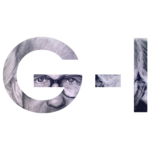 Some thoughts provoked by Johan Galtung. For five days in July 2016, I had the privilege to take part in a Summer School hosted by the Galtung-Institut for Peace Theory and Peace Practice in Grenzach, Germany. It was an introduction to conflict transformation and the theoretical framework and methodologies developed and practised by Johan Galtung and his colleagues over the past decades. Apart from the inspiration I derived from the various encounters with like-minded people, many of the presented contents resonated within me and sparked my wish to incorporate them into my future professional and personal life. Galtung laid down his approach to conflict transformation that takes as a starting point imaginations of a positive future. Instead of starting dialogue with questions about the negative past, Galtung proposed to anchor mediation in ideas about positive change and deal with the negative past subsequently. When defining conflict, Galtung warned not to mix up definitions of conflict and violence, because one does not necessarily lead to the other. He defined conflict as the incompatibility of goals, interests or values. This is a very constructive approach in my eyes because it accepts conflict as a natural component of human interaction which is not necessarily negative. He rejected categories of religious, economic or geographical conflict and instead proposed as categories simple, complex and structural conflict. When being asked whether violence was part of human nature, Galtung strongly rejected that view. If that was the case, he argued, we would find violence everywhere and at all times. Instead, he argued, that it was strongly connected to space and time. At different moments in history there are more violent places and groups. As humans are a product of nature, culture and structure, Galtung argued that violence can be traced back to cultures and structures. There is no violence for the sake of violence. With regards to the economic system, Galtung pointed out that not capitalism in itself was the problem, but economism and the way economic sciences works. The main concepts are supply and demand, growth and how to increase profit. Instead, economics should be based on satisfying the needs of humanity and nature. All in all, he was very critical of the “West“ (consisting of the U.S. and Western Europe, above all). Dialogue in the West, in his view, oftentimes means pushing own views and trying to dominate the “other”. Another problem with Western thought Galtung laid down, is the idea of linearity: if a happens, b follows, with the result of c. He used the analogy of a society of push-buttons: if you push a button, there is a foreseeable result. Even though this would require enormous effort, Galtung proposed to borrow more from a buddhist epistemology. Despite some remarks and views one can and needs to argue with, I found myself listening to a man who is a friend of humanity, and who did not say anything one could interpret as contemptuous. It was one of the few times that I found myself listening to someone who talked about culture, religion, and civilisation in a way I could accept without some notions setting off the usual defensive reflex. This was because he did not present one as being more valuable than the other, but pointed out advantages and disadvantages of each way of thinking. He also postulated not to overestimate the influence of religion and basically spoke about religions and civilisations interchangeably as human ways of looking at the world. What made the biggest impression on me, was the underlying conviction to never underestimate the role of history. In order to properly understand people, countries, conflicts, it is not sufficient to know about the past ten or twenty years, but rather imperative to study history in-depth and identify anything that matters within a given people’s perceptions. For Galtung, studying history is key for understanding the deep structures of a society. During my studies, I was often frustrated about how little professors of mine took history into account when analysing conflict constellations. When stressing the impact of colonialism, I oftentimes found myself alone in the room, while colleagues argued with me that one cannot bring everything down to history or drag history into everything and always blame the West for the problems of the world. But this in itself already reveals a problem Galtung also mentioned: We tend to think in dualisms. Stressing the role of history does not have to result in downplaying other factors. There can be an “as well as” outcome. One more problem of humanity, he mentioned, was that we talk too much about things we know nothing about. “If you cannot speak about Islam for five minutes without making mistakes, go and study it“, he said for instance. Many times I felt “caught“ having judged situations too hastily and identified topics I need to read up on. Another point I completely agreed with, was uncovering the myth of being “neutral“. It is an invention, but unfortunately a quite dominant one in the current scientific community. Surely, one can and as a mediator has to try to reach some sort of “objectivity“, but it can only be an approximation, never objectivity as such. Just as Galtung proposed, one should take the good things in any situation, work with those and criticise the bad ones. The same applied for his presentations. I was and still am critical of his use of language, which shows that he belongs to another generation of scholars and practitioners who did not inhale the post-structural view on the role of language like many people in my generation have. I asked him about his use of the term “race”. My standpoint is that one needs to be cautious when using words that can invoke specific implications and carry certain connotations. The term “race” is especially critical, because it can invoke the idea of the existence of different genetic human races that are linked to people’s values, performance and abilities. When I asked him about it, he first replied whether I was blind and advised me to consult an optician. His explanation for holding on to the term was that one needs to talk about “race” because it is such an important fault line in human interaction. Although this argument made sense to me, I still hold the view that language matters and should be reflected upon. What I would like to incorporate into all parts of my life is to make a bigger effort in trying to see things in a holistic manner. Furthermore, I would like to unlearn to some extent what I was trained in at university: focusing on the criticism and always finding something negative about each and every individual, conflict, theory. It is helpful in many regards to cultivate critical thinking, but can lead to complete passivity and paralysis on the other hand. When listening to the examples given, I was surprised by the strong focus put on elites. Surely, one has to take into account how best to be effective and how to bring about change, but for long-term solutions there has to be an exchange with all members of society. This gets ever more clear for me: I want to work in a context where I can facilitate encounters of different people and convictions. Some of Galtung’s ideas sounded quite unrealistic to me. I had the feeling that although he counts almost 60 years more than me, there is more optimism in his outlook on things. But it is true that one needs to develop big visions that serve as a driving force. I will take this as a task for the year to come: develop my concrete visions of how exactly a better world would look like and what achievable steps we need to take. He mentioned the difference between dialogue and debate. For debates the arguments were the main ingredients, whereas dialogue lived from questions. This sparked in me to focus more on asking questions from now on. Of course, many of the aforementioned ideas were not born in Johan Galtung’s head, but his way of discovering and studying them and then putting them together, was impressive. Especially as a young person, one can and should learn from people like Galtung and rare encounters like these: It is important to not lose track of long-term developments, to not lose optimism and not fall into the trap of dogmatism. “If reality is not just the sum of individuals, but the quality and structure of relations, it might be our task on earth to constantly improve human relations“. This is a task for each and everyone which should be taken seriously in any sphere of life. All of the content is derived from my personal impressions and notes taken throughout the Summer School Professional Conflict Transformation: A Complete Introduction from July 4-8, 2016. I am very thankful to the Galtung-Institut with all its staff and especially Mr. Naakow Grant Hayford who was responsible for this special event.